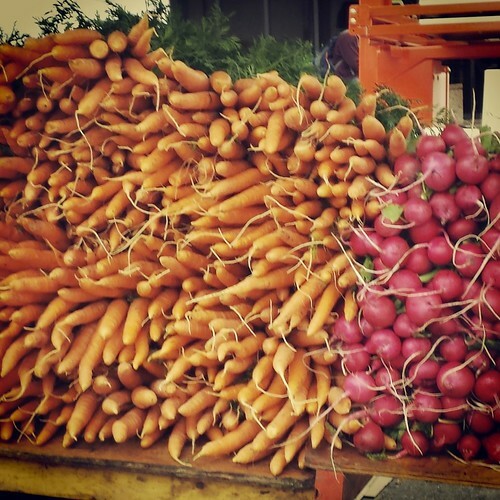 The one thing I love about summer is how many fruits and veggies are now in season. Peaches, berries of all kinds, squash, kale and corn. While I was on my Sunday Run-day this morning, I realized that it is August, and I still have yet to buy a single ear of sweet sweet summer corn. How is that possible? As I was wondering when I was going to get my hands on some corn, something else also in season interrupted my thoughts. A bee, or at least I think it was. I have no idea what it was, but it hurt. A lot. I’ve never been stung by bees or wasps or any kind of mean bug like that before, so I started getting worried. Was I allergic? I going to go into shock or break out into hives? Thank goodness I was out of the woods, then someone can find me. Why does it hurt so fraking much? I managed to walk back to the car and got myself home to shower and get an ice pack on it. Then after breakfast, I popped a Benadryl as per a friend’s orders. When it kicked in, I took a nap. When I awoke from my nap, I went to make dinner. 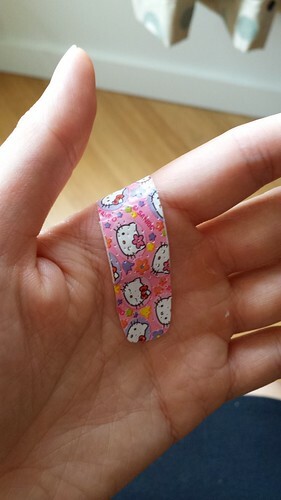 As I was opening up peaches with a chefs knife (probably not the smartest thing to do to begin with), the peach split prematurely and knife came to a stop on my hand. Luckily it was just a little nick, but it further proves how much I need one of those Life alert things. Dinner came together anyway. 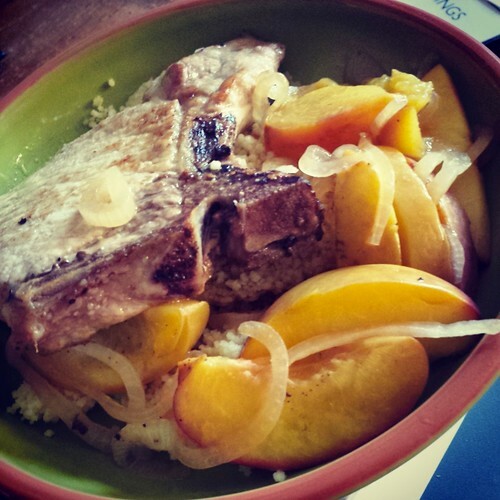 I made some Roasted Pork with Peaches per this recipe I found. As per the magazine it came from, it was in fact real simple. I used my dutch oven since it was the only thing I had that was stovetop and oven proof. I browned four bone in pork chops, seasoned with salt and pepper (2 at a time to not crowd the pan), then threw in a thinly sliced onion and two wedged peaches and tossed that around for a bit. Then to deglaze the pan, I added three tablespoons of apple cider vinegar. Once deglazed, back in went the pork chops and into the 400 degF oven (uncovered) it went until my pork reached an internal temp of 150 degF (about 20 minutes for me). Let it sit for five minutes, make the cous cous then serve! Voila! Easy peasy dinner! To enjoy on the couch, away from all things hazardous! This entry was posted in Dinner, Running, Uncategorized and tagged Bee stings, Benadryl, Peaches, Pork Chops. Bookmark the permalink.